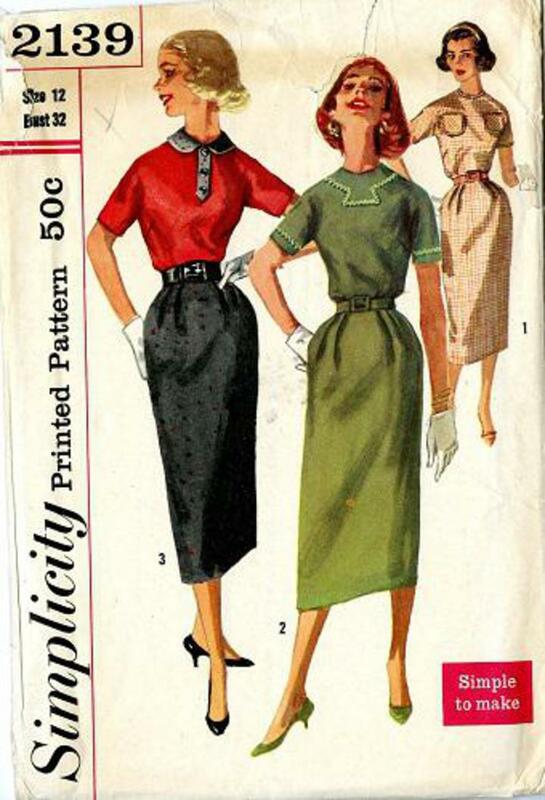 1957 Simplicity #2139 vintage sewing pattern, misses' one-piece dress, size 12. A Simple to Make Triple-Treat Style. All views have bodice with high round neckline and short kimono sleeves. 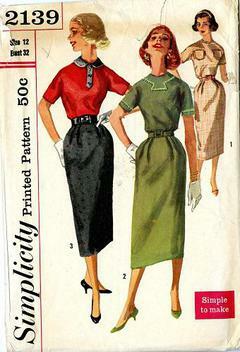 Slim skirt has soft pleats at each side of front waistline and vent at lower edge of center back seam. V. 1 has pockets on bodice and top-stitching. V. 3 bodice and skirt are of contrasting fabrics.